Villa C is a family-home on the hills of la Jolla Shores in San Diego. It has a perfect location due to the fact that it overlooks the green area and has an impressive sea view. 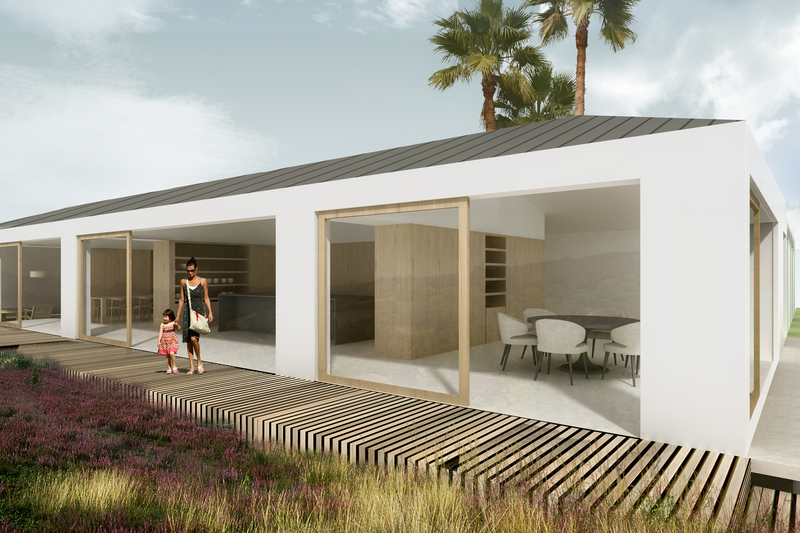 To emphasize on the already existing elongated site and to maximize the sea view we have chosen for an oblong form wherein all rooms are connected in a linear direction along the sea side. Due to this fact every room, in the active area of the house, has a sea view. 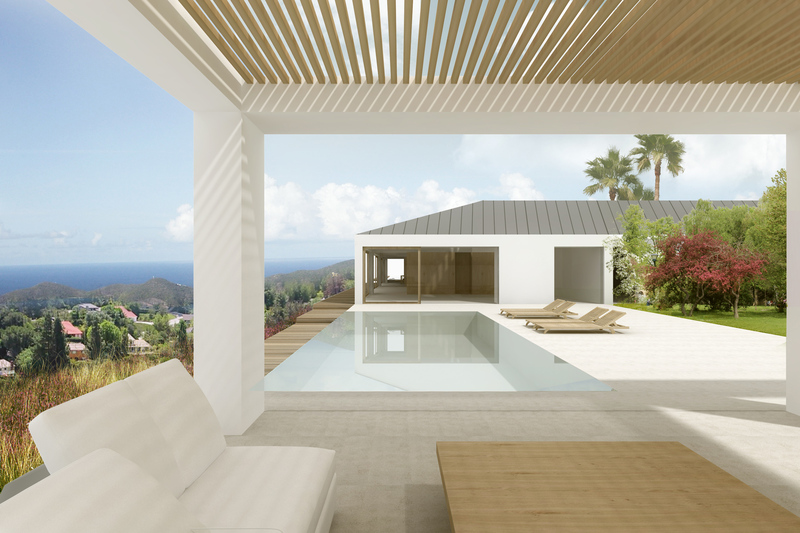 The swimming pool and the pavilion are placed in the same line as the villa, hereby it becomes an extension of the living space of the villa. It gives you the feeling that it is one continual space, in other words inside and outside are flowing into each other. The house is a construction of wooden- and white stucco walls. The wooden walls are the separation between the rooms. The walls are built in a way that there is free space along the view side of the house. 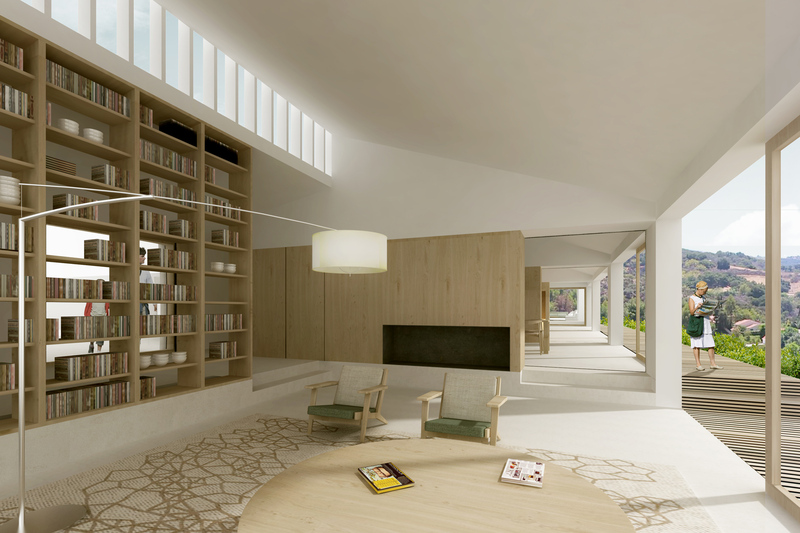 The pavilion is divided in three areas: a study room, a dining room + barbecue and the lounge room. The study room is a ‘closed’ area and the other two rooms are open. Still it is possible to open up the ‘closed’ room, in order to use the pavilion as one big space. On the south side the pavilion got a wall that at some places is closed and other places semi open (with wooden beams). The wall is used as a furniture piece which includes the kitchen, closet, bookshelves, the fireplace and benches to sit on. While the study room is more orientated towards the backyard (more private) the dinning room and lounge are connected with the terrace and the pool (more public).